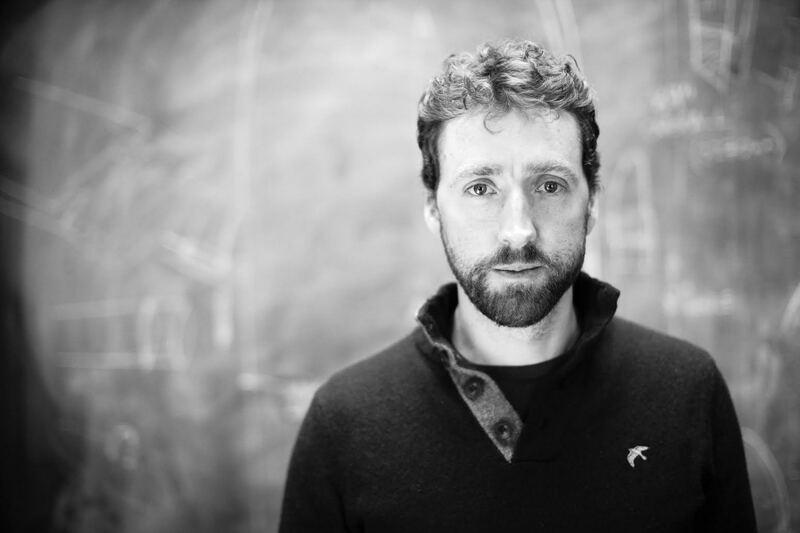 Almost twenty years ago Colm Mac Con Iomaire was struggling to describe his early attempts at composition and made a distinction between “tunes’ and “music”. Much of his playing life up to that point had been in the Irish traditional world of “tunes” effectively the dance music which makes up much but by no means all of the instrumental repertoire in Irish traditional music. His father’s people came from the Conamara Gaeltacht and Colm’s family were Irish speakers living in Dublin. The Irish language sean nós unaccompanied singing tradition with its storehouse of ancient and beautiful airs was embedded early on in his musical consciousness. On his mother’s side there was classical instrumental music on the violin and piano and Colm learned to play as a very young child. It was a musical home, one visited by musicians and singers…. a place of naturally occurring opposites …Irish and English, rural and urban, classical and traditional, old and new. The creative tension between these two notions of “tunes’ and “music” produced a player, composer and film score arranger who seems always to have been aware and inspired by the dualities in his musical and cultural world. His first musical collaboration happened while he was still in school. With school friends he started the contemporary trad band Kíla. Freedom to experiment was at the heart of Kíla. It was a cultural call to arms and the timing was crucial for a young musician on the threshold of adult life. Playing in Kíla was accompanied by a long spell busking with band members in Dublin streets. Playing and performing in duos and in big groups of up to twenty became a routine as did meeting other musicians and absorbing a huge mixture of new sounds and musical styles. A friendship with another busker, Glen Hansard, was followed by a leap into the professional mainstream and a new role, playing fiddle with the wildly popular The Frames whose live gigs were and are the stuff of fan lore legend. At the heart of the Frames whirlwind was a still centre. It pulled Colm back and inward. In the late nineties the Irish language television broadcaster TG4 offered opportunities to write scores for film. The compositions he made for these productions came from an interior place whose deep roots lay in traditional Irish music but also in an older way of life and thought, consciously mediated through his personal life lived out in the contemporary space. So it was not surprising that the title for Colm’s first solo album The Hare’s Corner/Cúinne an Ghiorria signified not only an acknowledgement of the importance of that old culture but also an urgent plea for “the hare’s corner” in contemporary culture…a still place where space and time are set aside for something beautiful for its own sake. His work in film and theatre has allowed him to progress and mature as an orchestrator of his own compositions. With his new work his chosen title And Now the Weather refers to the introduction to the final item on radio and tv news bulletins. The weather report is viewed as a means of keeping the distress of reality at bay. It is a title riven with irony. And Now The Weather marks a return to collaboration. From the impressive solo run that was The Hare’s Corner, the multitasking on stringed instruments, the immaculate production, this new album features orchestral levels of players and instruments. In addition to his own fluent playing on almost the entire family of stringed instruments from fiddle and viola through guitar bouzouki and zither a further 21 players of pianos, brass, percussion, strings, harp and vocals feature. His default voices are fiddle and viola and his orchestrations are structured around the expansive range of tones and accents he has become capable of achieving on these instruments. He is a musical colourist of subtle tones and nuances, a master of mood and atmosphere. He is superbly served in his choice of musicians here. Sensitive and intuitive, they are with him for the full journey this music takes from gaiety to menace from chaos to peace from motion to stillness. In a crowded field of outstanding Irish fiddle players and interpreters of traditional music Colm Mac Con Iomaire is unique. His voice is unmistakably his own and his music bears distinctive creative hallmarks which have as much to do with his personality and character as with his impressive technical mastery, musical authority and exquisitely expressive playing. Against a backdrop of global chaos and destruction of the natural environment And Now The Weather reprises the plea of the hare for creativity and space. Somewhere in the middle of all this madness there is music and Colm Mac Con Iomaire.